The ancient symbol of the tree of Life has been described as…’The mighty, all embracing glyph of the Soul of Man and of the Universe’ It is a map for all levels of experience, and encompasses the outer world, the inner world, and the relationship between the two. 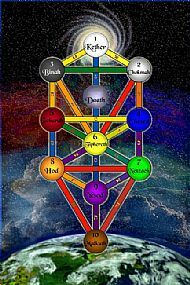 The ten Spheres on the tree are the Divine Emanations coming into manifestation from the Source, down through the planes. These archetypal energies are objective states of consciousness which we all contain within us as a Microcosm of the Macrocosm. This introduction will enable an understanding of how we relate to these energies and the corresponding centres within ourselves. NOELINE HART lives in Southport and is married with four adult children. She has a degree in Education and was a classroom teacher for thirty-four years. 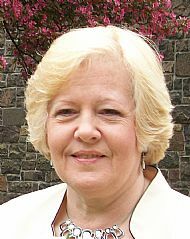 She has been a member of the Theosophical Society in England since 1986 and is President of the Southport Lodge. She is currently a director on both the Executive Committee of the English Section and the English Theosophical Trust, as well as a trustee on the Foundation for Theosophical Studies. As a life -long student of the Esoteric teachings she has developed a special interest in Astrology, Alchemy, Kabbalah and the Western Hermetic Tradition and has given lectures at Theosophical Conferences, The English Summer School, and the European School of Theosophy. She teaches and runs study groups at her centre ‘Rainbow’s End’ and is currently involved in writing articles and lectures on various Theosophical subjects.